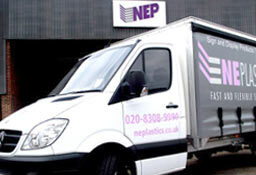 Acrylic is predominately used in the application of signage and point of sale. It is also commonly used in more home based applications such as kitchen splashbacks, bathroom wall cladding and window repair/temporary fixings. 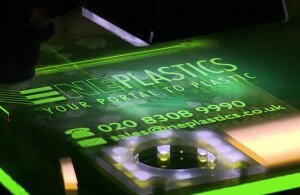 Acrylic can be both CNC router & laser cut to produce bespoke projects such as cut letters for display, wall placards and point of sale displays. 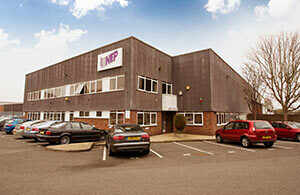 Acrylic offers up to 10 years of outdoor exposure and UV stabilisation. Offering a wide range of light transmission sheets acrylic can be used for multi purposes, from fitting an open space like a window or used as a facia in a light box. The crystal clear clarity of the standard finish is an ideal replacement for glass, with up to 93% light transmission available. The opal range comes in a variety of lowering light transmission, stopping at Plexiglass WH01 which is considered by the industry as a solid white – cast white opal Plexiglass WH02 being the standard grade for light boxes with approximately 44% available light transmission. Acrylic cast acrylic falls under Euroclass E fire classification, under the European ‘EN 13501-1’ standard. Gluing acrylic is a must for more complicated bespoke fabricated articles like, display cases, lecterns and display units. Adhesives suitable for acrylic include, Tensol 70, Tensol 12, Evo-Stik, Extrufix, and UV bonding. The joint faces must be cleaned prior to bonding. 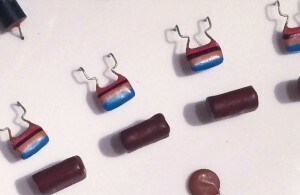 The components to be bonded should be tempered to release stresses prior to bonding in order to avoid potential stress cracking (crazing) due to the reaction with solvent glue. When using solvents in bonding acrylic sheets , it is advisable that the work area be climate controlled with low humidity to minimise joint ‘whitening’. if this is not possible, the addition of 10% glacial acetic acid to the solvent or use of a slower curing cement-type bond is suggested. Fixture pressure must be maintained to prevent movement of the joint until it is solid. Good ventilation is required when working with solvents. For an expert finish on any and all acrylic, polishing is a must. 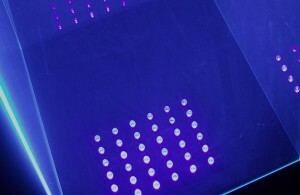 Acrylic can be flamed, diamond or buffed in order to produce smooth edges and a clear finish (solid colours do not usually require this process). 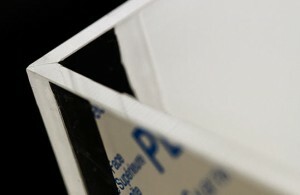 Polishing the edges of cast clear will produce a crystal like clarity, ideal for indoor and outdoor POS. 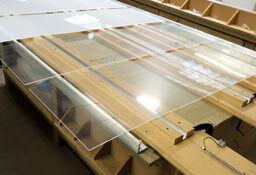 Cast acrylic sheets are suitable for a range of digital printing needs: solvent; latex; aqueous; UV; screen. In order to avoid stress cracking of acrylic sheets, only acrylic compatible inks must be used. The lacquer systems must be suitable for the intended application. Where necessary the sheet has to be tempered and pre-dried or cleaned before application of the ink. To avoid stress cracks and adhesion problems, preliminary tests are recommended. 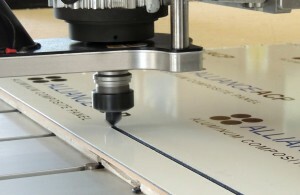 Stand offs can be used to mount acrylic panels to a facia when holes are drilled. The diameter and length of the stand-off is determined by the size of the panel. Fret cut letters in acrylic, can have locators attached with adhesive for display purposes. Like stand offs, locator size is similarly decided based on the letter dimensions. White spirit, neutral soap and household detergents. Splitting is often a risk factor when drilling acrylic. It is recommended to grind the drill bit (twist drill) to a zero rake in order to prevent this from happening. Start by drilling a pilot hole for positioning, then make sure a back stop is in place to prevent the panel from moving. Remove swarf as produced, to aid the drilling process. 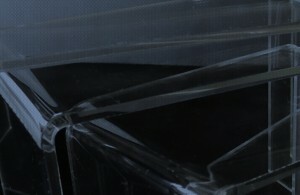 Acrylic can be difficult to cut and drill. A common issue can be the material melting and resealing itself after machining incorrectly. Chipping, grazing or splitting the material are other common occurrences. Cast acrylic when cut exhibits a high degree of thermal expansion, the saw blade may become stuck or undesired dimensions obtained when drilling. It is important to keep cutting tools sharp at all times. Hard, wear-resistant tools with greater cutting clearances than those used for cutting metal are suggested. High speed or carbon-tipped tools are efficient for long runs and provide accuracy with uniformity of finish. It is very important to employ an efficient saw dust extraction system to remove saw dust and chips generated by the saw blade.